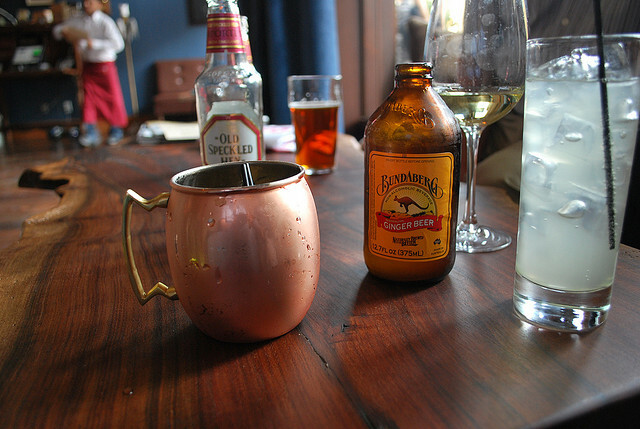 I don’t know what I like most about Moscow Mules – the taste or drinking it out of a copper mug because let’s face it, you can look pretty cool doing that. Either way, I purchased two copper mugs from Amazon and they will be here Friday, just in time for me to get my Moscow Mule on this weekend. I predict that I will be counting to 20 in Russian by the end of the weekend. Squeeze lime juice into your copper mug and add ice cubes. Use at least a quarter of a lime. Add two ounces of vodka and 4-6 ounces of cold ginger beer. The amount of beer added to the cocktail depends on the size of your glass. 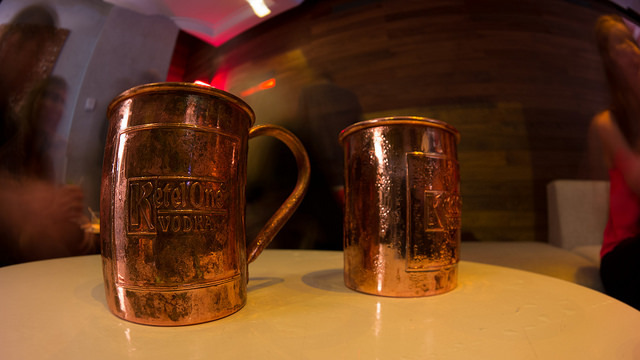 I’ve only been adding four ounces – no need to dilute the vodka anymore than necessary. If you order one of these in a bar, make sure they are served in a copper mug/cup – it’s the only way to drink them and using anything else would be bordering on sacrilege. And don’t go cheap on the vodka, either. Man up and buy the good stuff. If you don’t, you may regret it the next morning. Links to image source for photographer credit and license info.